Minku performed on Show 288 and Show 301 with the Konpeito Cello Quartet. 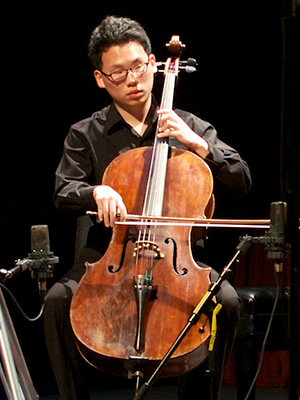 Konpeito Cello Quartet is based at the San Francisco Conservatory of Music and coached by Jonathan Koh. Its members are 17-year-old cellist Irene Jeong from Palo Alto, California; 16-year-old cellist Catherine Kim from Palo Alto, California; 17-year-old cellist Minku Lee from Palo Alto, California; and 15 year-old cellist Jeremy Tai from Cupertino, California.